MULTIPLE OFFER SITUATION: Please submit your highest and best offer by 10:00 AM Thursday June 29. 2BR - 2BA 2nd floor condo. 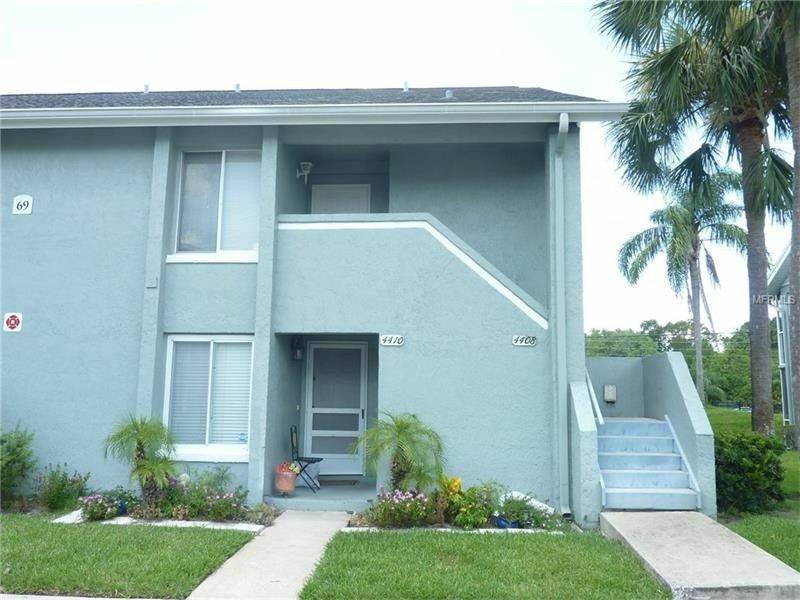 This unit shows like new - only used occasionally by the owner as a 2nd home when in town. New carpet, closet doors and refrigerator. Recent paint, toilets and all appliances included. Ready for a new owner to live in or rent it out as an investment property. Living room and dining area have a vaulted ceiling and open out to a screened balcony. Split bedroom plan offers privacy and a full en-suite bathroom for each bedroom. Walk-in closet in master bedroom offers plenty of storage space. Fully equipped kitchen includes all appliances and has pass-thru to dining area. Inside utility closet with washer & dryer included. This unit is light and bright with windows on 3 sides. Assigned parking space and guest parking nearby. Furnishings available. Just a short walk to community pool, tennis courts, basketball court and racquetball courts. Well maintained community with on-site property manager. Condominium maintains exterior of all buildings, grounds, 2 lakes and recreation area. Water, termite bond, garbage pick-up and common area insurance included for all units. Roads to be resurfaced this fall. Conveniently located near shopping, Universal Studios, Disney, International Drive, Valencia College, I-4 interchange, Millenia Mall, Downtown Orlando and the Airport. Driving Directions: Kirkman Road 1/4 mile north of Conroy Road to first Pine Shadows entrance on the right. Then first right on White Pine Avenue to #4408.